Tastetastic! 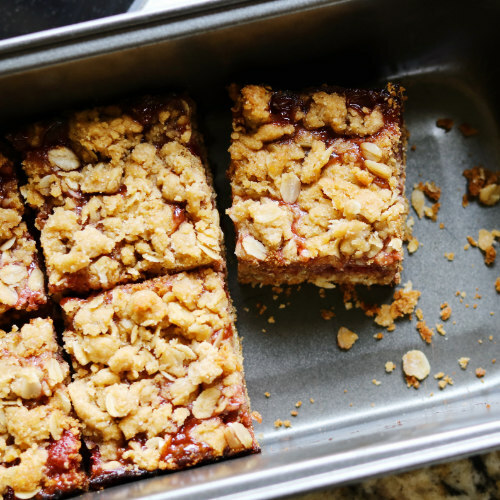 These raspberry nutty flapjacks are incredibly moreish. Fantastic for enjoying a sweet treat to share in the afternoon or a great contribution to any special occasion. Try whilst still warm with some coconut cream or ice cream – yum. Melt the butter/oil, coconut sugar and syrup in a pan on a low/medium heat. Don’t allow it to burn. Once it is bubbling remove from the heat and set aside. In a mixing bowl combine the oats, seeds, nuts, berries, (banana) and salt. Once mixed pour in the ingredients and mix with the melted liquid. Pour your tasty mixture onto a lined tray and spread out until an inch thick. Pop in the oven and bake for roughly 12/20 minutes. Then set aside to cool for 10 minutes on a rack before cutting into slices.